Life With Angie: Cute Asian Nail Items! I got kind of obsessed with cute Asian nail items yesterday after seeing some cute Asian nail polishes in unique bottles. So I decided to poke around the Born Pretty Store site to find cute beauty items! Asian stores have a ton of cute items and packaging we don't have in the U.S. I'm a Born Pretty Store affiliate and also have a coupon code: KRX31 which gets you 10% off of your order and free shipping. So this is kind of an "ad" post, but I really do think these items are cute and wanted to write about them. I haven't tried these myself, just wanted to make that clear. These are also not my photos - I downloaded them from the Born Pretty Store website. 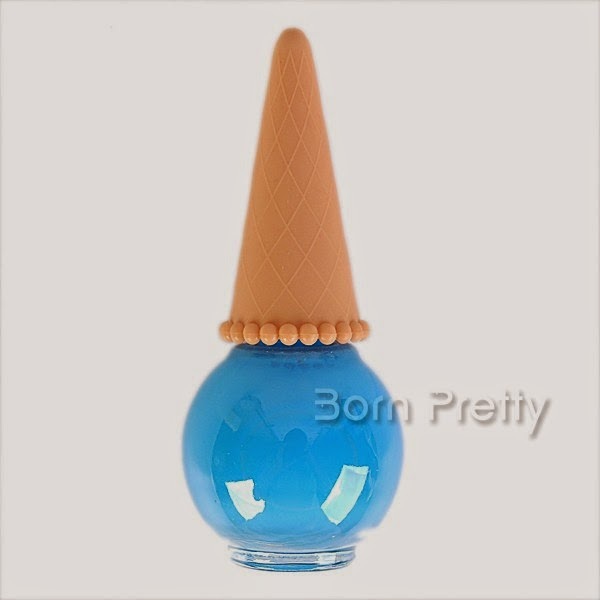 First, I found these nail polishes that look like ice cream cones! They come in a bunch of different colors. and in a gift package with 18 polishes! They also have a ton of cute water decals, like these cat ones. Water decals are pretty easy to use. I did a mani with some in this post, and I have some more water decals from Born Pretty Store that I plan to use soon. OK, I might have to order these. Born Pretty Store ships directly from Asia, and so shipping times are longer. Some people end up waiting for weeks to get their stuff, so when I do an order I try to get all the stuff I will need for a while. There was rumored to be a shipping delay over the winter, so I asked their affiliate manager about it because I didn't want to be an affiliate of a site that doesn't ship stuff to their customers, and she said there was an issue that they ended up working out. But please be advised that the stuff still takes a while to ship- that's just the nature of ordering inexpensive stuff from Asia.